The Irony GBA is the second version of our flagship “competition” yoyo the “Irony”. The GBA, standing for “Guilty by Association”, is an improved version of a yoyo that Werrd and Andrew Bergen had designed in early 2010. 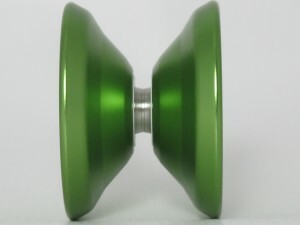 The yoyo is sharp, angular, and is one of the most well balanced yoyos that can be found on the market. 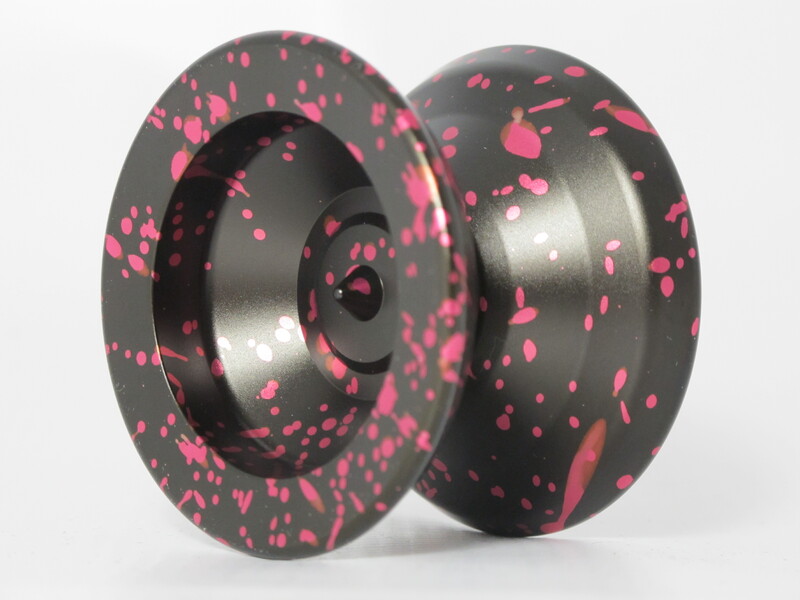 The shape is a play on the traditional H-shape, instead of rounding off the rims like most other H-shaped yoyos, we flared them up and angled them out to give the yoyo a much better balance. We originally did this for purely aesthetic reasons, but after testing the original Irony, we found that the flared edges improved the yoyos ability to perform horizontal tricks. What’s different about the GBA, is that we had added a bit more weight to the yoyo to add more stability. Most of the weight was added onto the rims, and we also improved rounded off the edges a little bit more so that the catch zone would be a bit less sharp. 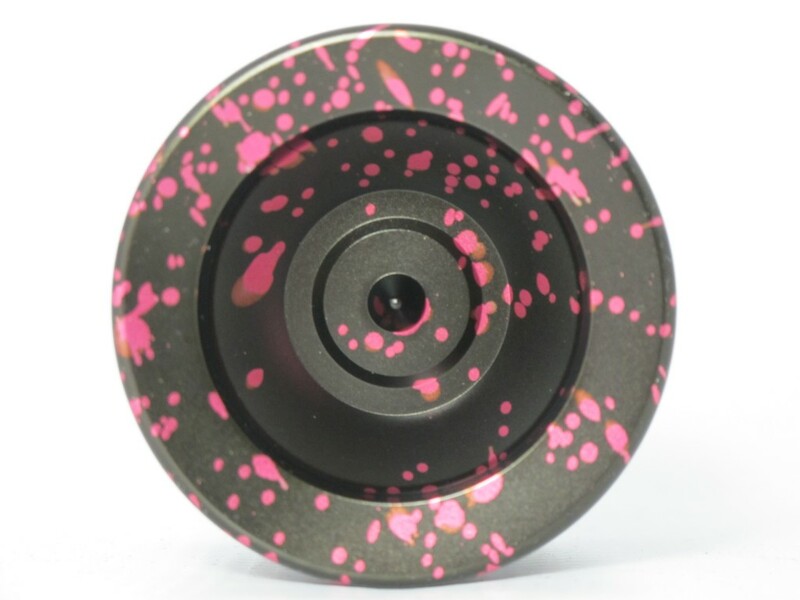 Finally we finished the yoyo with a “hardcoating” instead of just our usual anodization. The hardcoat feels like a bead blasted finish, but the finish is much harder to scratch off and you have to worry a lot less about scuffing your yoyo. Along with that we also pair all of our Irony GBA’s with a Crucial Grooved 2 Bearing to ensure the best performance possible.